Kim comes to you as the Founder/Chairman and CEO of Kimco. At the early age of 33, in the span of 12 short years, our leader and ambassador managed to transform his organization from a one-man operation to a $75 million dollar corporation. Today, he has an award-winning staffing firm (Kimco Staffing Services) with multiple specialty practices: a professional employer organization (KimstaffHR) as well as a professional services firm (Advantex), totaling more than 150 employees. Prior to starting Kimco, Kim worked for Thomas Temporaries, where he was able to learn the staffing business from the ground up. 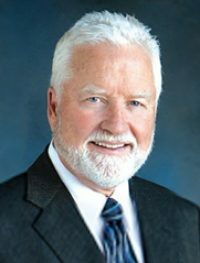 During his tenure, Kim performed sales and management functions in branch offices throughout Northern California and Denver, and was instrumental in Thomas’ eventual expansion to 40 offices in 15 states. At the age of 28, Kim was made president of Thomas Temporaries. He is a graduate of Claremont Men’s College where he earned his degree in business. Kim has been nominated for Ernst & Young’s prestigious Entrepreneur of the Year Award for two consecutive years, and has been recognized as an Orange County finalist.